The 13th of 21 street lamps to be installed as part of Mischa Kuball’s Solidarity Grid. 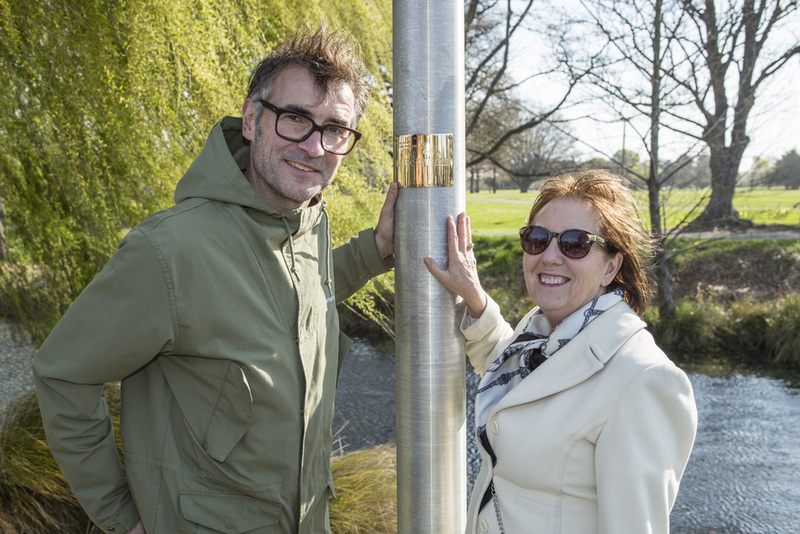 The sleek silver lamp donated by the French city of La Rochelle as a gesture of solidarity during Christchurch’s recovery and rebuild process is a physical representation of France’s support for Christchurch during this time of rebuild. SCAPE Public Art and the Embassy of France in New Zealand together approached La Rochelle city council to be involved in the project. The two cities are now united through the positive symbolism of light, strengthening ties between New Zealand and France. La Rochelle is a seaport city on the Atlantic coast of France. The Renaissance architecture, secret passageways and stone gargoyles bear witness to the city’s heritage as a fishing and trade stronghold since the 12th century. The picturesque Vieux Port (old port) contrasts with modern marina, Les Minimes, where over 3,500 yachts are moored in the tepid waters.